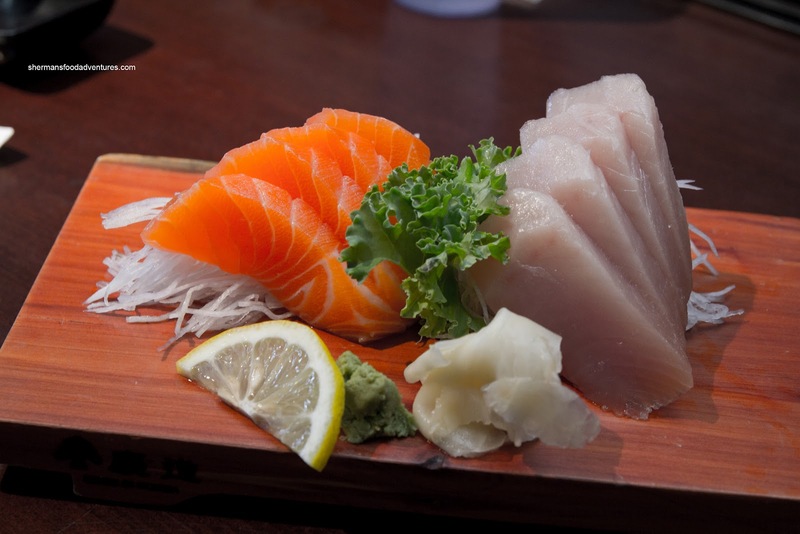 When Sushiholic originally opened, I merely dismissed it as another wannabe Japanese restaurant. 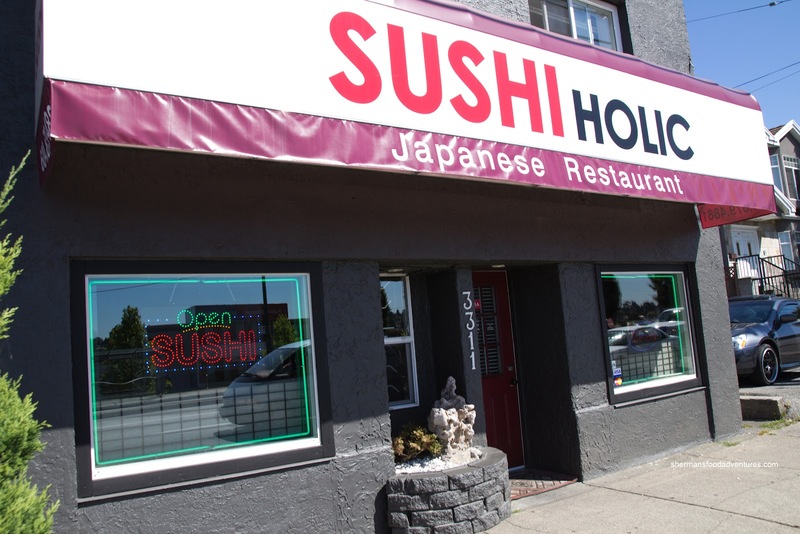 Hey, it is pretty hard to get excited about most of the "Japanese" joints in Vancouver because they are practically indistinguishable from each other. Think of it, even the name makes one wonder... Yet, as time passed, there was one glowing review after another. That prompted me to put it on my "to do " list. Unfortunately, due to its early closing time, I was never able to make it with my hockey team. And since it is not open for lunch on Sundays, we couldn't try it out after morning hockey either. Therefore, I had to enlist the help of Rich Guy, who is always there as a dining companion. The Tuna & Salmon Sashimi arrived nicely plated and exhibited a nice sheen. The textures were pretty good while the flavours were slightly bland. I found the slices to be okay in size being neither too small nor too large. This was a good start to our meal. 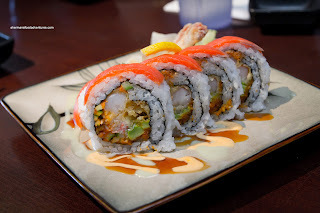 Next up was the Sushiholic Roll which consisted of imitation crab meat, 2 ebi tempura, cucumber, tobiko, crunchy bits and spicy tuna with smoked salmon, mayo, wasabi and unagi sauce. This neatly constructed roll had a multitude of flavours with a good hit of sesame oil. 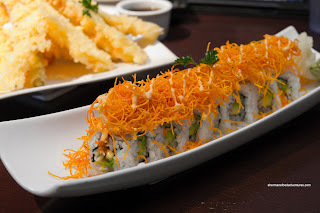 The tempura bits and ebi were crunchy which was a good compliment to the soft sushi rice. Despite this, the rice was more than acceptable, yet it could've benefited from a bit more flavour. 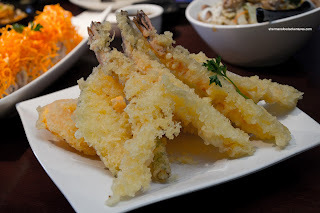 that batter, the tempura was not greasy. I liked the ebi as it was of a good size and had a nice snap. 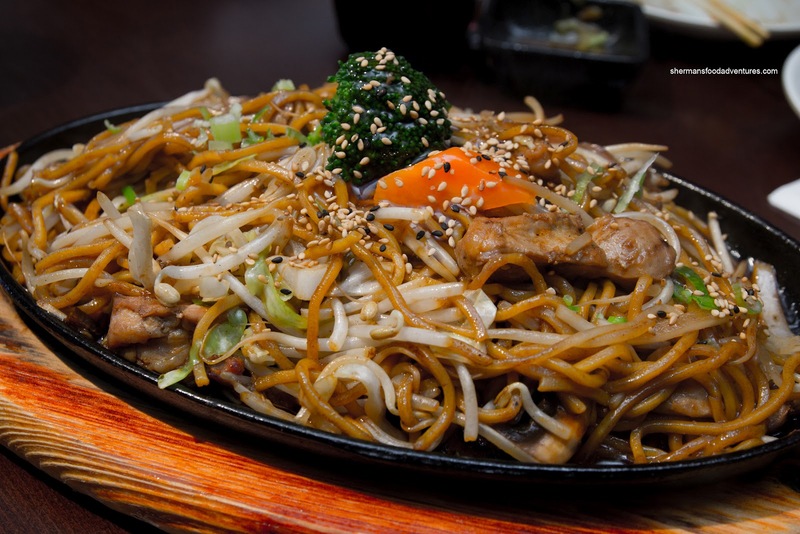 Onto some filler aka carb-heavy dishes, we had the Chicken Yakisoba. With an obvious shiny sheen, it screamed out greasy. 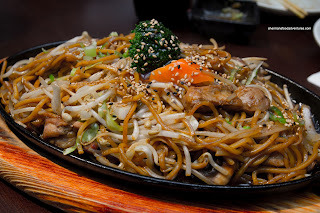 Yet it was sizzling on the hot cast iron plate indicating good pan frying and caramelization. The flavour was rich (sweet and savoury) with a noticeable tang. With large pieces of tender chicken and a considerable amount of veggies, it overwhelmed the noodles somewhat. Yet, the noodles still stood out enough due to its al dente texture. 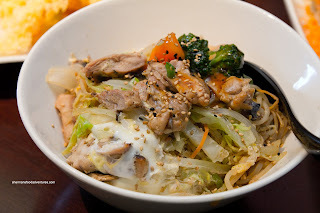 Lastly, the Chicken Don was probably our least favourite dish of the meal. Although it wasn't bad per se, it was a let down of sorts after all of the relatively decent dishes we tried. The chicken was tender while the rice had a nice chewiness to it. However, there was absolutely no flavour. It was as if they forgot to add sauce other than the small drop on top of the chicken. Hence, the rice had no sauce which meant no flavour. Ultimately, this was the only dish that was sub-par. Everything else was above average and despite not satisfying the "authentic" crowd, Sushiholic offers up decent food at an inexpensive price.